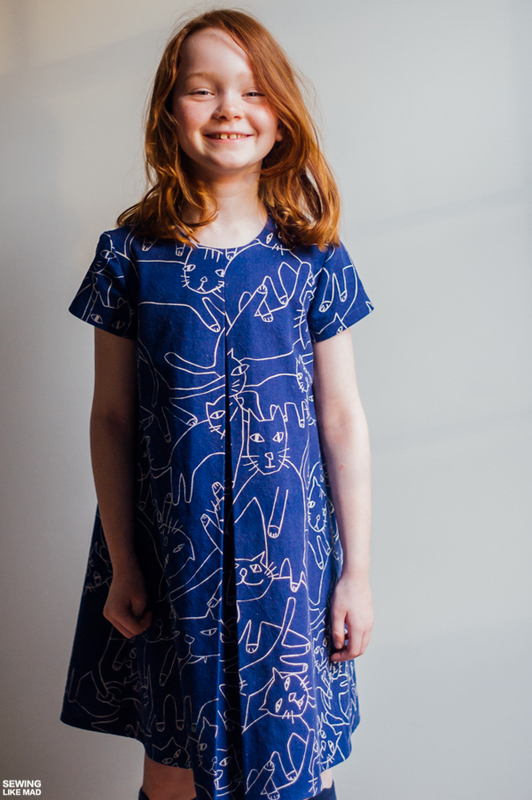 Sewing Like Mad: The Eleena Dress by Coffee + Thread. The Eleena Dress by Coffee + Thread. Today I'm taking part of The Eleena Dress by Coffee + Thread tour and I have two quite different dresses for you. They are of course made from the same pattern, ha, but one is made with woven fabric and the other with knit. I know I have showed you this dress on IG but I have been dying to show it to you for real. It is one of my recent favorite makes for the kids. The shape is just perfect. It both have swing and is structured at the same time. That's not an easy balance to get but Olga totally did it. 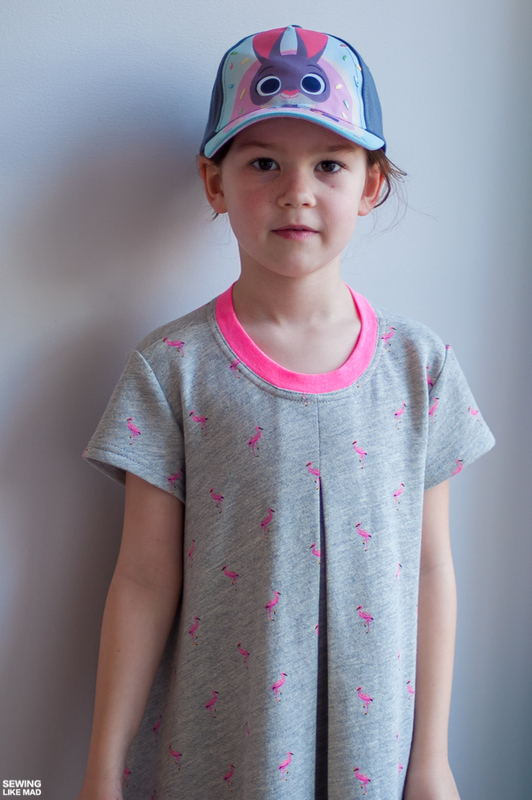 Here is my knit version made with flamingo printed ultra soft and stretchy French terry found on Designer Fabrics Warehouse on Amazon of all places. I'm afraid it's sold out though, wah. This was such a fabric scoop. This amazing printed linen (maybe with a mix of cotton?) is from Miss Matatabi - of course. It's also sold out which is why I'm not totally sure of the content. It does have the perfect structure for this patter, that's for sure. And can I just take a second talking about the dangers of being a blogger. You buy amazing fabric, sew something, then later you are going to blog about it, so you go back to the site where you bought the amazing fabric so you can add a link to the post and THEN uhhhh more fabrics. Gah, it's a vicious circle, ha. I did a few changes to the knit version. One was to completely omit the lining of course. I finished the neck opening to use a knit rib instead. I also removed the back shoulder dart because that is not necessary in a knit dress (but great in a woven). And I removed the dart in the most, ehh not sure what word to use.....hack kind of way possible. I literally just put front and back shoulder on top of each other - aligned at the neckline, and then I cut the extra of the back shoulder/armscye and of course made sure that the new back armscye has a nice curve and all. I would never do it that way if I was removing a dart to sew up another woven dress but since knit naturally does what dart are for in woven clothes (allow room for body shapes) then I had no problems doing it that way. The woven has a invisible zipper in the back. No need for that in a knit dress. I just looove that big front pleat. Such a simple detail and such a great impact. I also love that the pleat is closed up at the top so it only start to flare out around mid chest. It's little details like this that makes a good design imo. 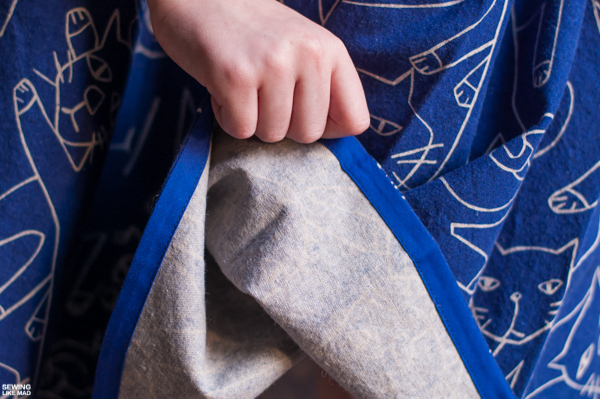 The pattern itself has three sleeve options which I love. A long, short and a flutter sleeve. 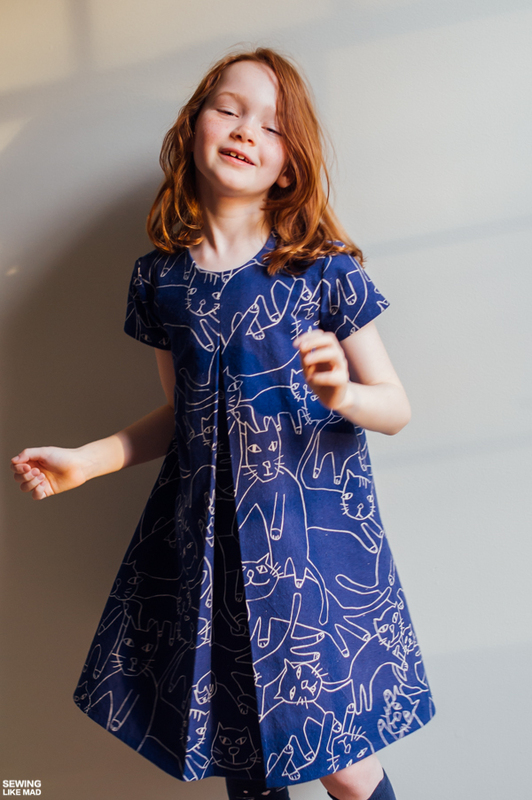 I knew I would limit the wear of this dress a lot in our warm climate if I made it with a long sleeve but I had a hard time choosing between flutter and short. Maybe I could make a navy blue one with a flutter sleeve and call it a pinafore so it could fit our school's dresscode. Now there's an idea, ha! There is also a collar option but I liked the clean look without it. I think this might the first time where I ever so slightly prefer the woven version over the knit - which I guess is lucky since this is a pattern for woven fabrics, ha. I obviously love both versions but the woven just gives a better 'bodice' to the pattern's shape than the knit does. The knit is almost too slouchy...not by itself but when comparing the two dresses. The pattern is made for a contrasting fabric in the inside of the pleat but also gives you instructions on how to make the whole front bodice in one piece which I did here. Options are always good, right! I made this first woven version before testing has even started so it ended up exactly the right length but with no fabric to hem it. Don't worry, length is all fixed for the final version. So I used the good ol' trick of hemming with bias tape. That way you only uses 0.5 cm and it still looks great on the inside. I'm not going to spend a lot of time on the technicalities of the pattern because well, it is GOOD. The Eleena Dress will be on sale for $7.00(regular price $9.00) through March 7th, 11:59 EST. 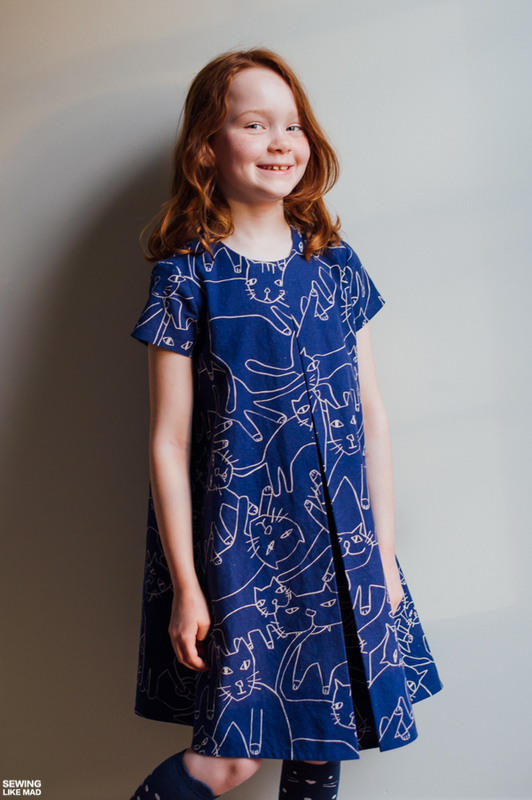 You can also win two patterns of choice and one yard of Sara Jane fabric. Fill out the Rafflecoptor below. Don't forget to check out all the other fabulous participants in this tour. Lots of good ones! I love both dresses, Mie! The kitty-kat dress is just stunning! 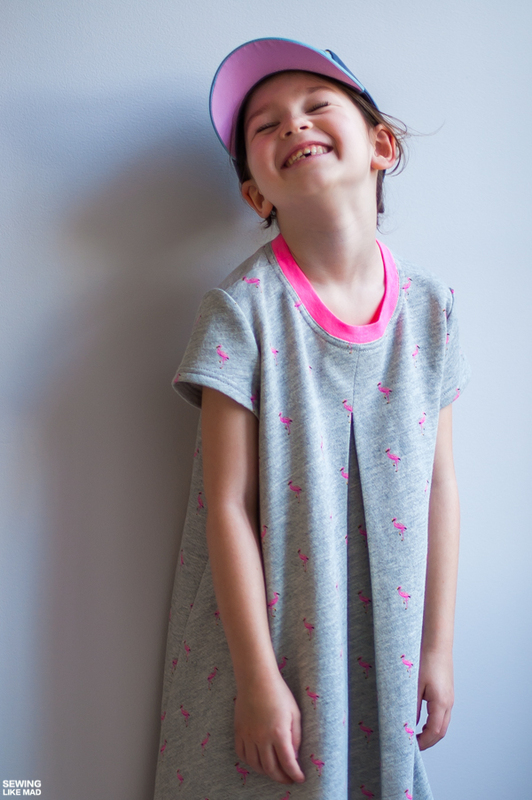 And the flamingo dress is so soft and comfy, perfect! I always want to copy what you make, even though this is my own pattern, haha! Thank you so much for being on the tour! Beautiful versions! I think I'm going to have to try a knit version now. I love the cat version! The fabric is gorgeous and it has a beautiful drape. 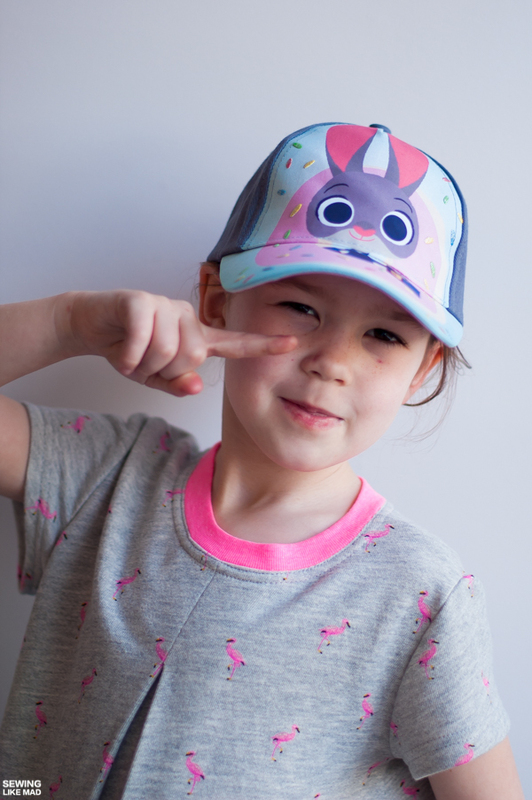 The bias tape makes the hem 'stand out' a little, which is perfect for this pattern! 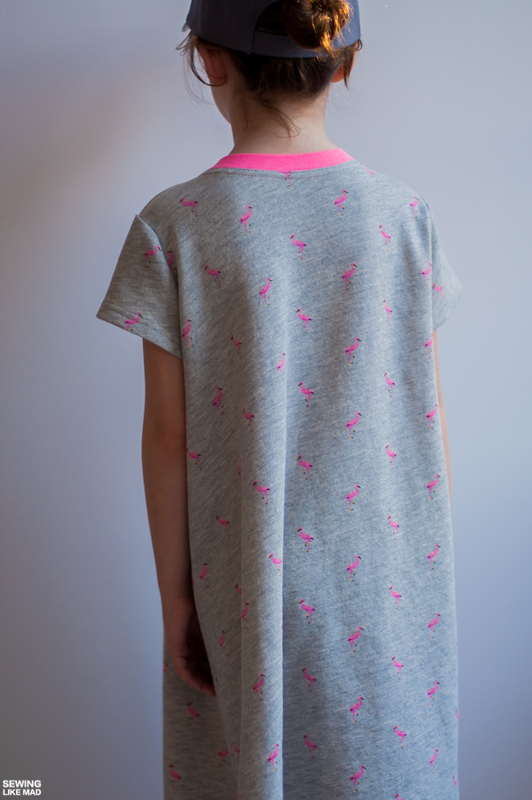 Love them both but the flamingos version is perfect, slouchy and all! 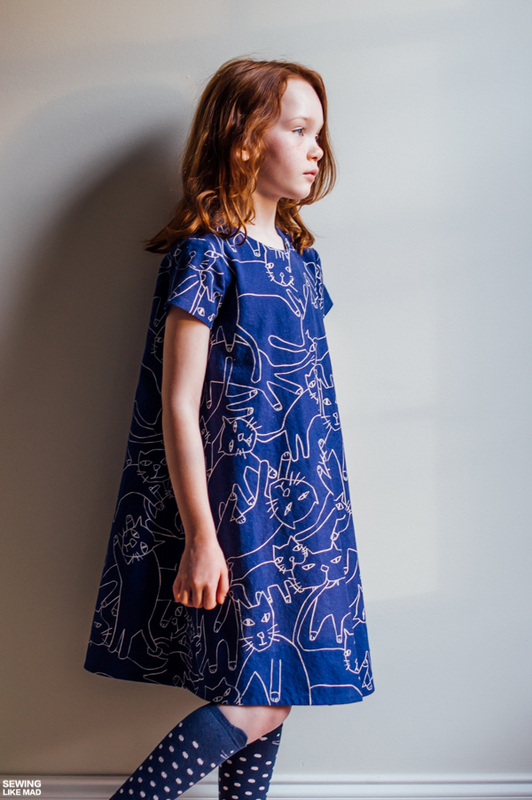 I love dresses that look that good and kids just have to put it over their heads and they´re ready, ha! And I loved your dart removal special technique haha, good to know it can be done that way! 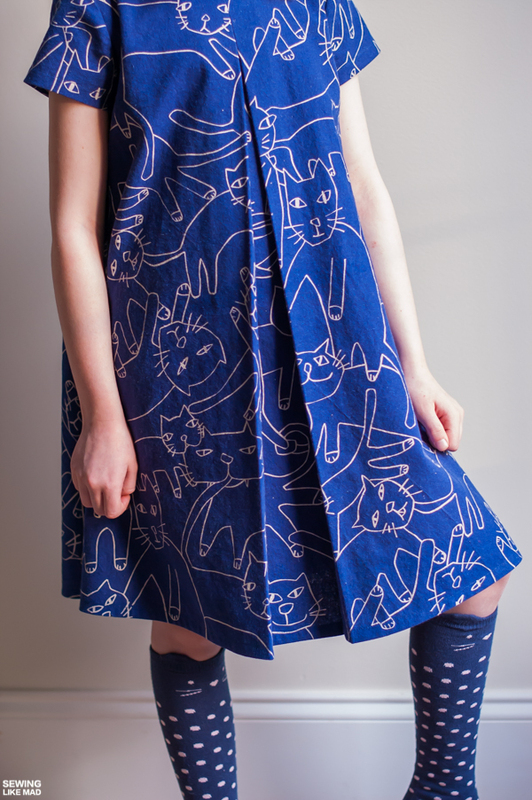 The cat fabric is just perfect for the dress! To bad it's sold out or maybe not. Haha... Both are beautiful, but those cats had me from the beginning and I'm not a cat person! Love both and can't decide on a favourite. They're so perfect!!! 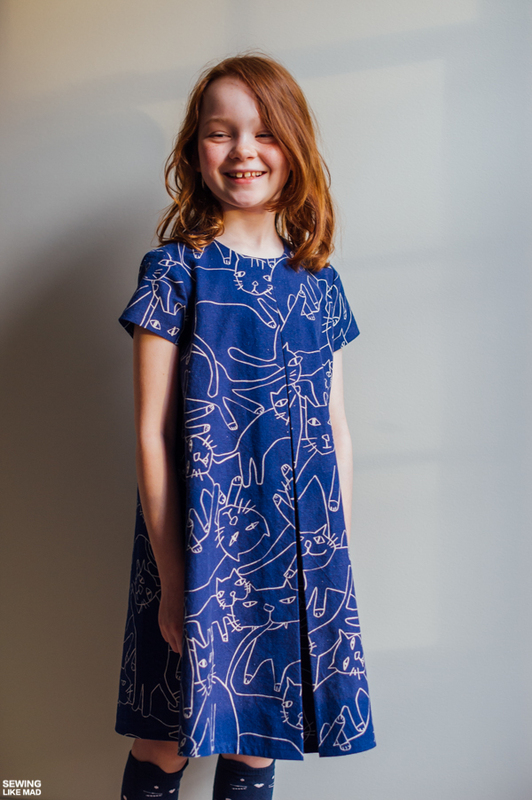 <3 <3 That contrast neckline in rib works perfectly but that cat fabric is gorgeous... A million heart eyes!! The dresses are purrfect (sorry could not resist). 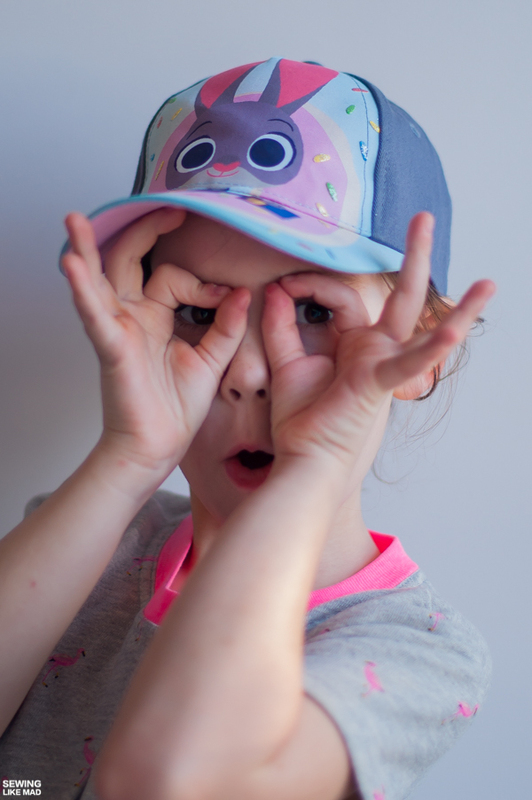 Such fun prints! I love that cat print dress. And I learned something new, I have never thought of using bias tape to hem a dress that didn't have length, THANKS! I love them both so, so much!! 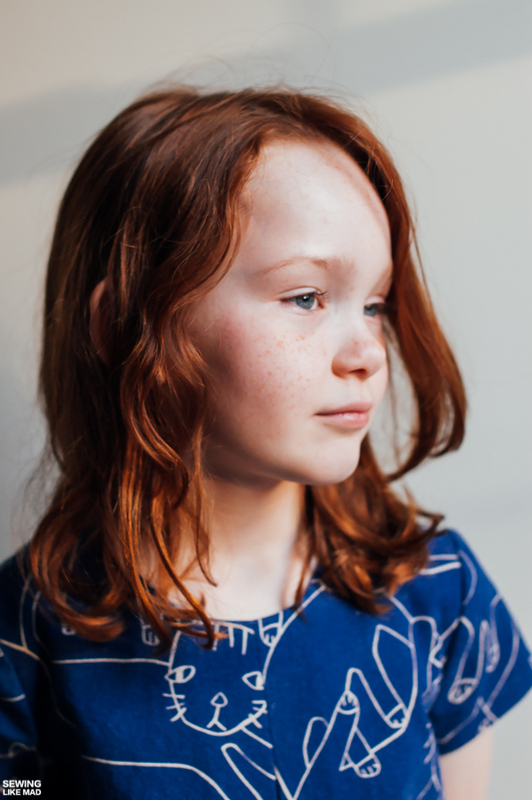 Of course the knit one is super cool (and what little girl doesn't love a knit dress? ), but I have to admit I'm partial to the woven one. 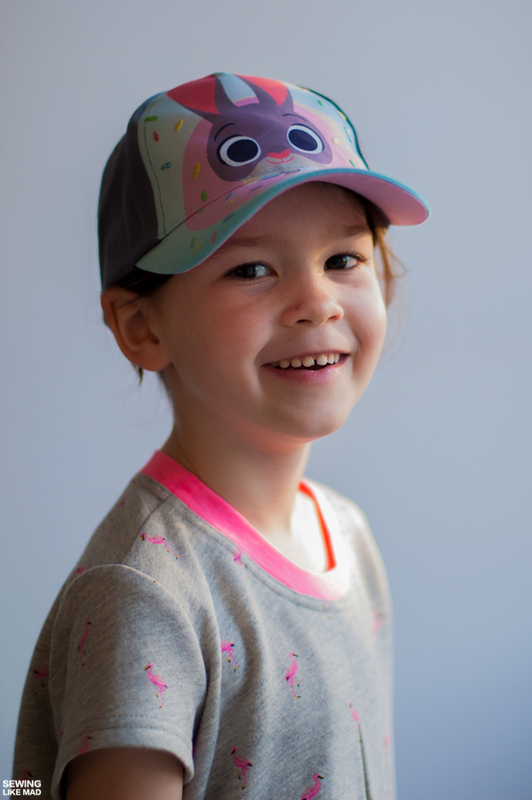 It looks so perfect - and the color is great on your cute little model! Thank you for the bias tape tip. I never would have thought of doing that. Aaaaaaaand this is yet another reason why you are The Sewing Goddess. You are right - this is such a great pattern! It really is perfect! I can't wait to make another one of these dresses! Your dresses are so good and your daughter's red hair is absolutely stunning!!! 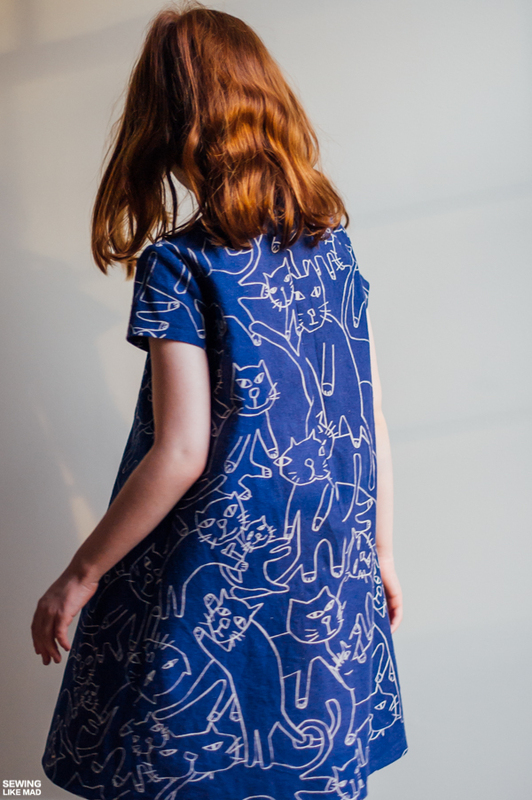 I love the cat dress. so fun! 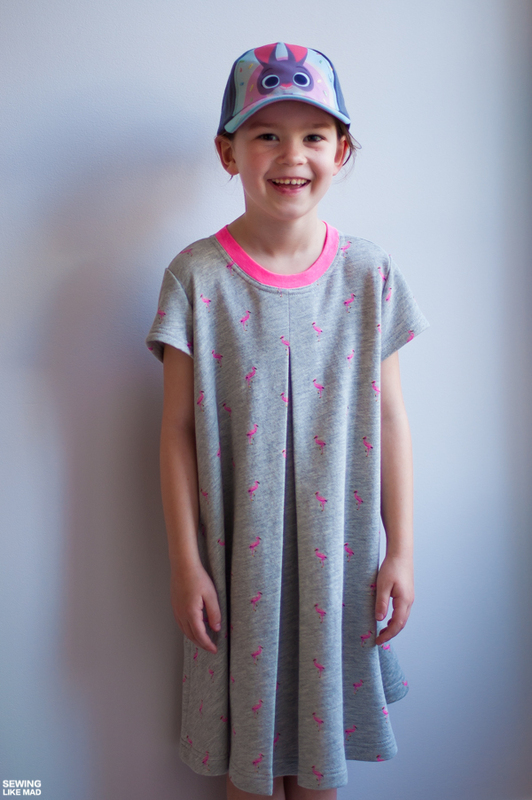 The Magrath Dress by Sew Much Ado. Komi Kimono Jacket by Wardrobe By Me.